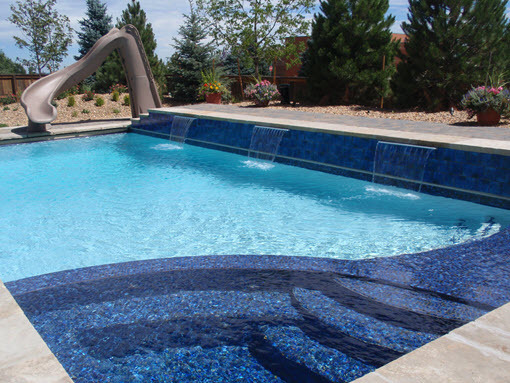 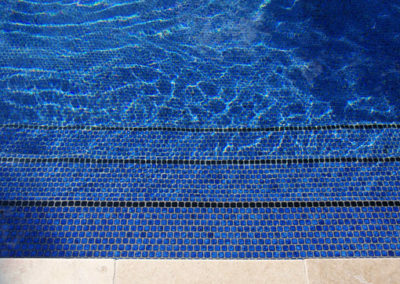 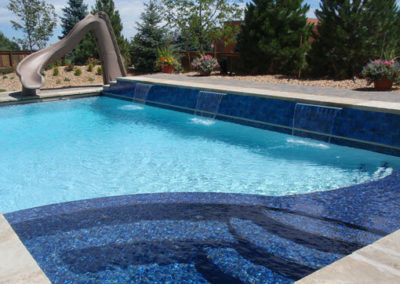 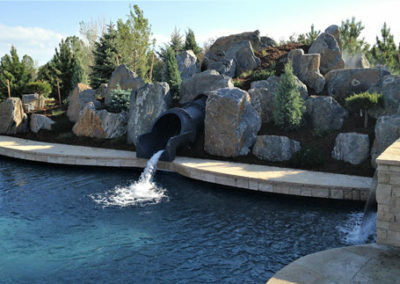 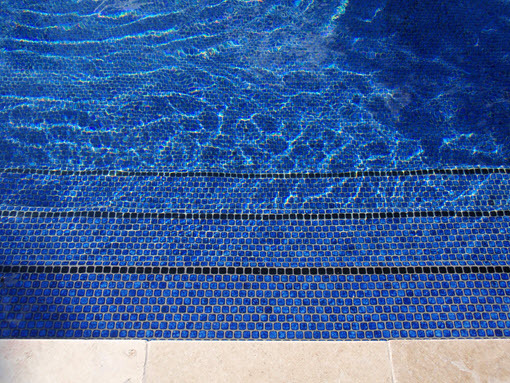 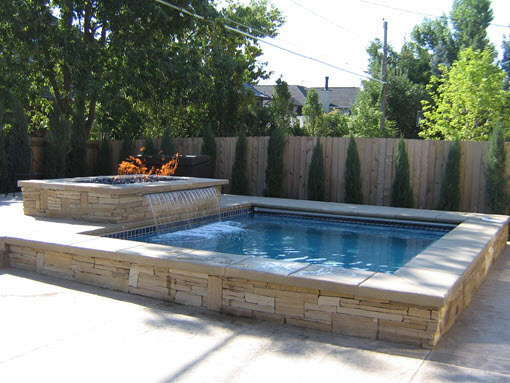 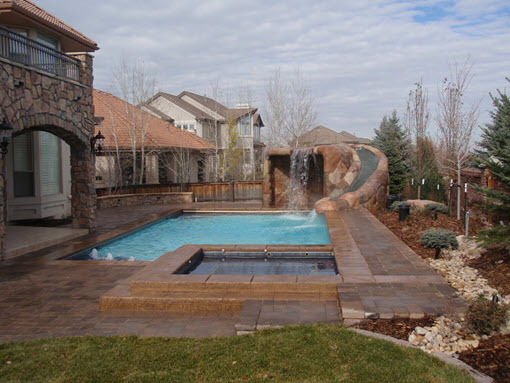 Learn about the many types of custom and luxury pool special features available. 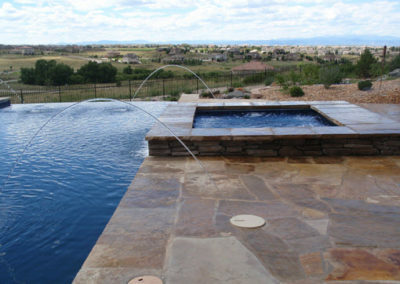 Get Inspired By Viewing Some Of Our Favorite Custom Feature Additions! 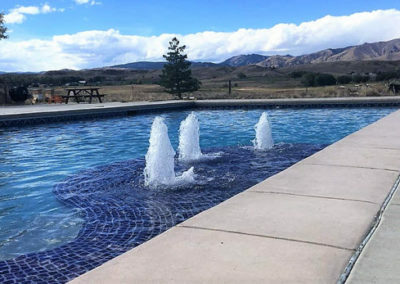 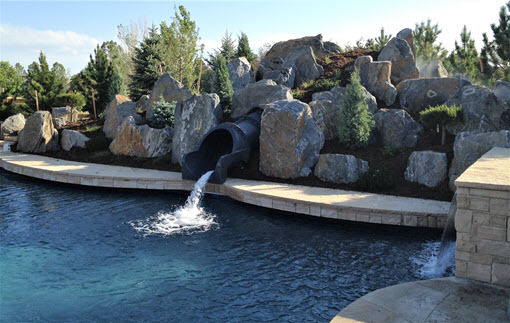 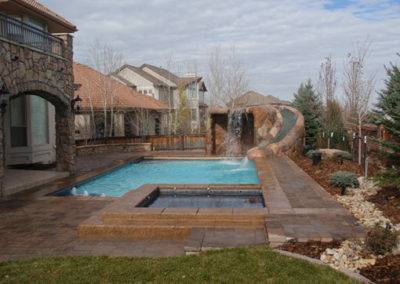 Examples are custom lighting, water slides, fire pits, all-tile spa, landscaping, water features, vanishing edge, gas firepit, stamped concrete, rcial swimming pools across the state of Colorado. 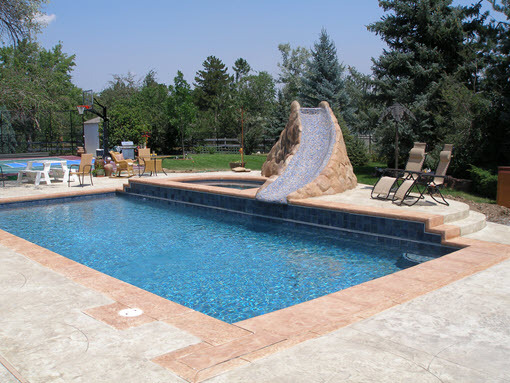 ➢ Special features can be designed and constructed for either residential pools or for commercial swimming pool building projects.